Ladies and Gentlemen, welcome to Book Club Bloggers book review day. This month our book selection was Gabriel Garcia Marquez's Love in the Time of Cholera. Normally this would be the day where I would post my book review chock full of opinions and brilliant reflections on the work. I would do that just like all the other's bloggers who've linked up over at Charlotte's fantastic blog The Daily Snapshot. Unfortunately, this is no normal day. See, I still haven't finished said book. I'm only half way through with it. That means I've only got half a review. This book is heavy. I don't mean that the material is heavy. I mean the prose is heavy. It's difficult. Not difficult/bad, but difficult/meaty. It takes a lot of chewing to make it through a bite of García Márquez's prose. Because of the weight of the novel it is taking me a little bit longer than I anticipated. Funny story, nearly every person to whom I've mentioned that I'm reading this book has reacted in the same way. They look at me with wide eyes and say, "Oh, ya. I read that book." *crickets chirping* Rather than be warned, I've taken their less than enthusiastic response as a challenge. Instead of throwing in the towel, I am resolved to finish this before I die. Here's hoping I live as long as García Márquez's characters. I just may need every moment. Here's the first truth. There are moments when I actually like this book. The prose is quite often stunningly beautiful. I'm occasionally intrigued by the story line. Every once in awhile Love in the Time of Cholera tries to get its hooks into me. Here's another truth. I have a serious issue with his form. It makes reading less than enjoyable. What the heck is up with 50 page chapters without ANY breaks? He writes these incredibly dense paragraphs that make up these incredibly dense chapters that require multiple hours of uninterrupted time to read completely (I'm a sloooooooooow reader). And there are NO BREAKS, just intricate sentence after intricate sentence. Practically speaking this makes picking up and putting the novel down a bit difficult. Each time I pick it back up, I generally have to read several paragraphs before I remember what the heck is going on in the story. Now, from an artistic perspective, his form is kind of jaw dropping. The manner in which he transitions (Did I mention, WITHOUT BREAKS?!?) is astounding. He is able to seamlessly flow from one character's story line to another with utter brilliance. It kind of blows my mind. With every page that I read, my respect for García Márquez is cemented. However I'm kicking and screaming my way through nearly every paragraph. Strange dichotomy, you say? I agree. Now, the third piece of truth I have for you is that I watched the movie. *gasp* I did it to keep my head in the game. And it worked. I was starting to wane. I was losing steam. I was ready to throw in the towel. But, the film changed my mind. 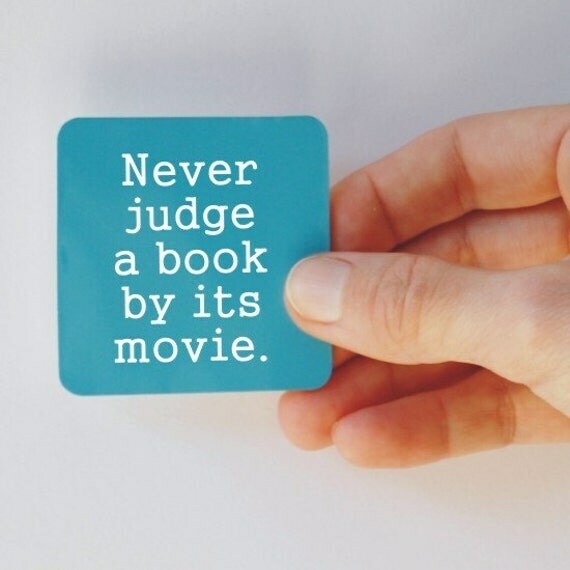 As I watched what was a lovely film visually, I couldn't help but think, "WOW the book was better." So, I'm back on the horse. I can't say that reading this book is always pleasurable. But I love a challenge. And it is indeed a challenge. Have you read Love in the Time of Cholera? Are you a fan of Gabriel García Márquez?